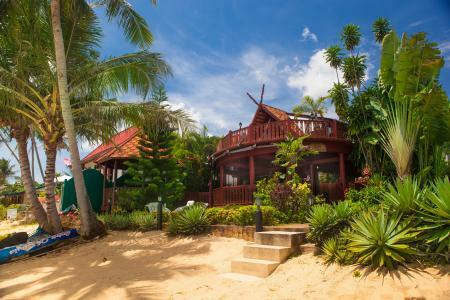 Villa JFK is positioned at the idyllic sand beach of Bang Por near Maenam in the north of the island Koh Samui. A large choice of beach restaurants are loacted in close proximity of Villa JFK and are reached with a short stroll on the beach. Major shopping and cinema complexes within 15 minutes drive, 25 minutes to the airport and to the resort town of Chaweng Beach with discos, clubs and night life.